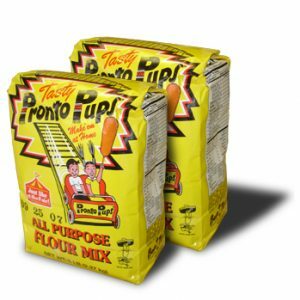 Case of 6/ 5 lb bags Pronto Pup corn dog Flour Mix | Pronto Pup Co., Inc.
Six – 5 lb. 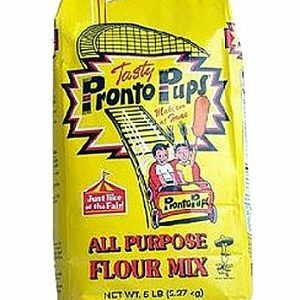 bags of Pronto Pup Flour Mix per case. 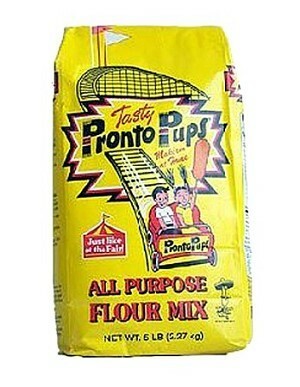 The best mix for the best tasting Pronto Pup corn dogs!! 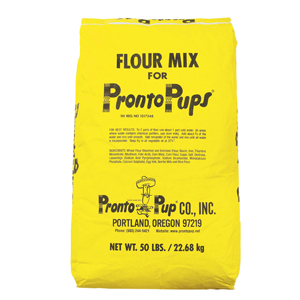 This is the best corn dog mix you will find and you can purchase it for yourself at home or in bulk for your corn dog operation. See our wide variety of purchase options today! !